The idea of adding the administration of an anti-proliferative drug to mitigate the response of the wounded arterial wall to the mechanical process of coronary plaque repair is not a new one. It was initially attempted with drugs administered systemically, but this was followed by attempting to administer the drug in situ. The first experiments were conducted in animals, with balloon catheters designed with tiny pores that enabled the drug to be sprayed on the wall during dilation. However, it was found that none of the drug remained in the arterial wall 3 days after the procedure. The idea was abandoned, especially when the inert metal stent was launched, followed by drug-eluting stents. The idea continued to be studied, however, and we now have drug-coated balloons with which it remains for longer in the arterial wall. They represent an interesting niche in modern-day cardiology. The ideal drug was Plaquitaxel, and it is used to coat most of the balloons on the market. Balloons with other drugs, such as Sirolimus, have recently been launched, and the outcome is being investigated. 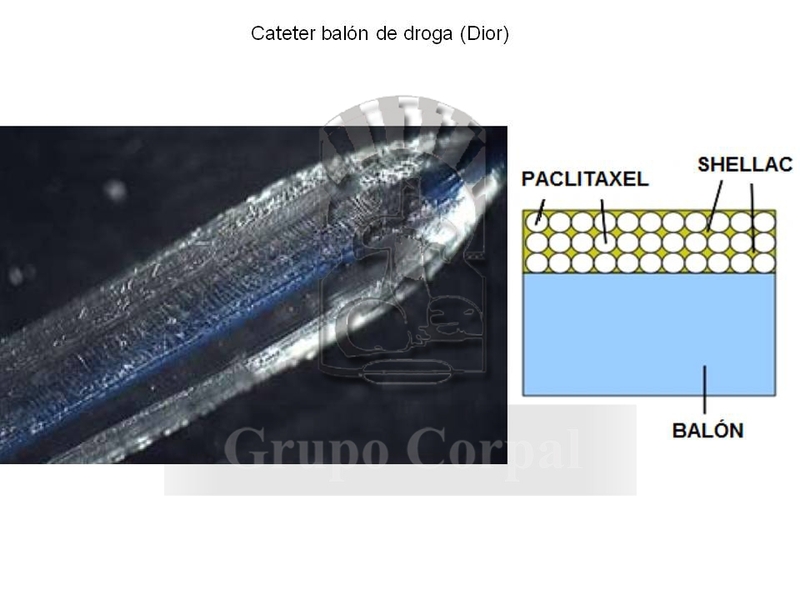 Drug-coated balloons are used when a stent cannot be installed or in cases of post-stent re-stenosis. They have also been used to treat the secondary branch in bifurcation lesions. They continue to be used in cardiac interventionism today.